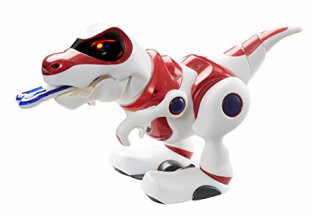 Meet the Teksta T-Rex, the bone crushing robotic dinosaur that every kid will want to unearth this Christmas! T-Rex responds to your voice, lights and noises, showing his feelings with expressive eye patterns in his eyes. 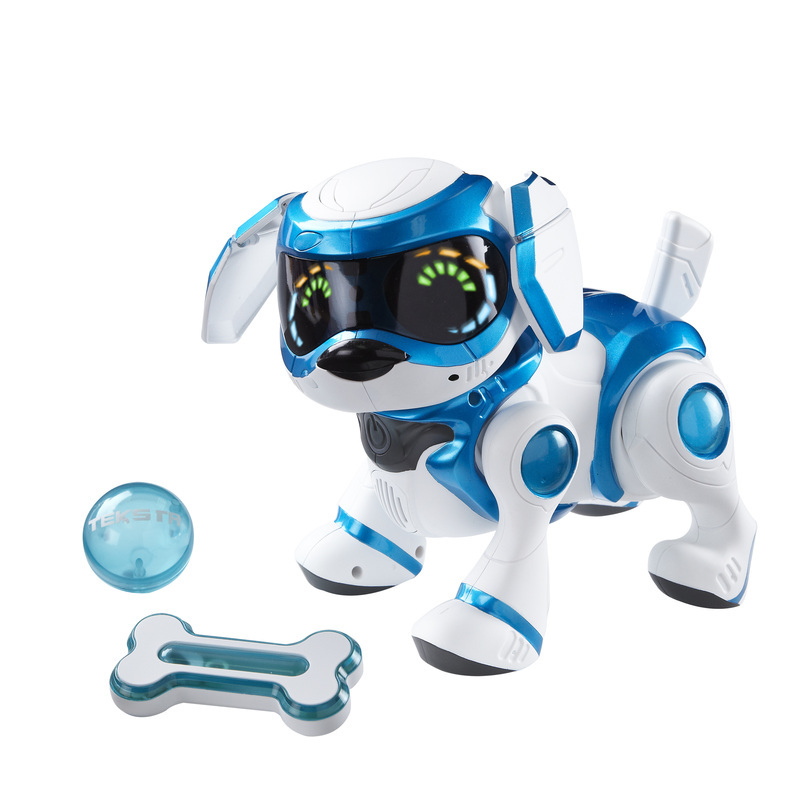 Use your hands to command Teksta T-Rex to walk, move his paws, swish his tail, and stop in his tracks. Stroke his head to make your dino roar and snap his jaws just like a real T-Rex. When he's hungry, feed him his special bone and he'll perform his ultimate trick, as he crunches it and spits it out, propelled by a dino-sized belch! Teksta T-Rex reacts to your hand gestures. Feed T-Rex his bone, watch him crunch, munch and spit it out! Your T-Rex has a variety of eye expressions to let you know how he is feeling. T-Rex will roar and wave his head when you come near. Teach your dino more tricks using the free downloadable app. Take a walk on the wild-side with the Teksta T-Rex, your interactive prehistoric pal! Teksta T-Rex is your new robot buddy several million years in the making. The perfect gift for dinosaur fans aged five years and up. 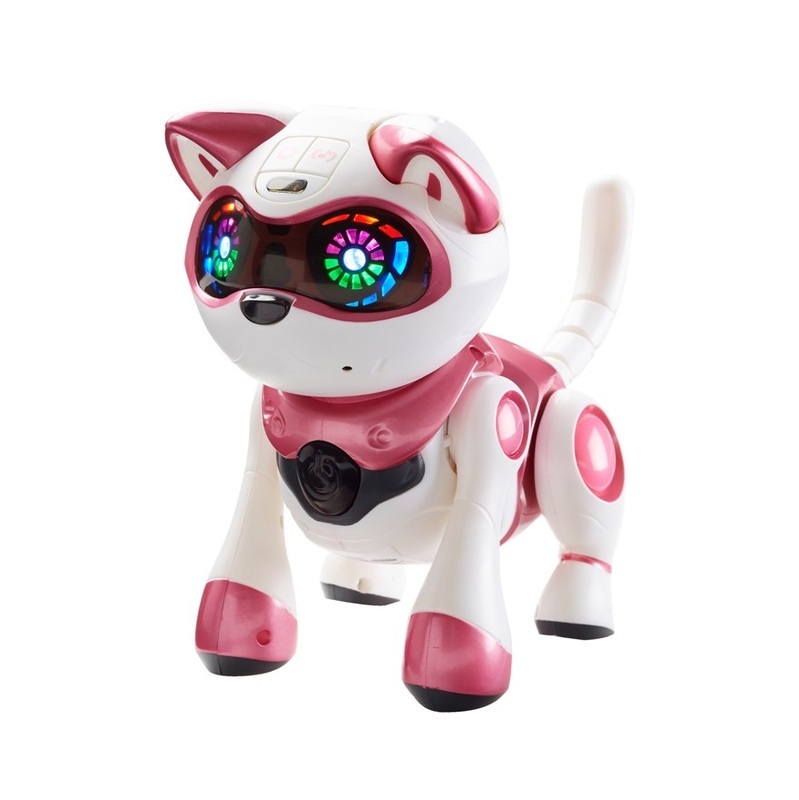 Thanks to his artificial intelligence program, T-Rex will roar, cry, whine and change his eye patterns in ways to show how he's feeling. T-Rex has state-of-the-art sensors to know if he's being petted, fed, talked to, and played with. T-Rex is amazingly smart and he is easy to program. Use the two Mode buttons on T-Rex’s head to interact with him. In Conversation mode, you can have a conversation with T-Rex. T-Rex will listen to what you say and reply as best he can with roars and dino sounds. T-Rex will not walk in this mode, so it’s a good way to play and talk with him on a table. Switch him into Singing and Dancing Mode and you can select a song and dance routine. Feed your T-Rex his bone by placing it in his jaws with the arrow on the bone facing into his mouth. When you hear a "beep", T-Rex will start to bite the bone,crack it in half, and then spit it out of his mouth. (To reset the bone, push the two halves back together again.). Your T-Rex needs attention to be happy, so don't forget to give him lots of love! Rub that cute face, talk to him, clap your hands - and his eyes flash his head turns, and he will set off walking to explore the world! If you ignore him, your T-Rex will moan and groan, and his eyes will show a sad pattern. Download the free app for access to over 100 extra play features, including games and new tricks. Get your T-Rex app from the Apple App Store or via Google Play. He'll work with iPads running iOS 5.0 or above, and on tablets running Android 3.0 or above. 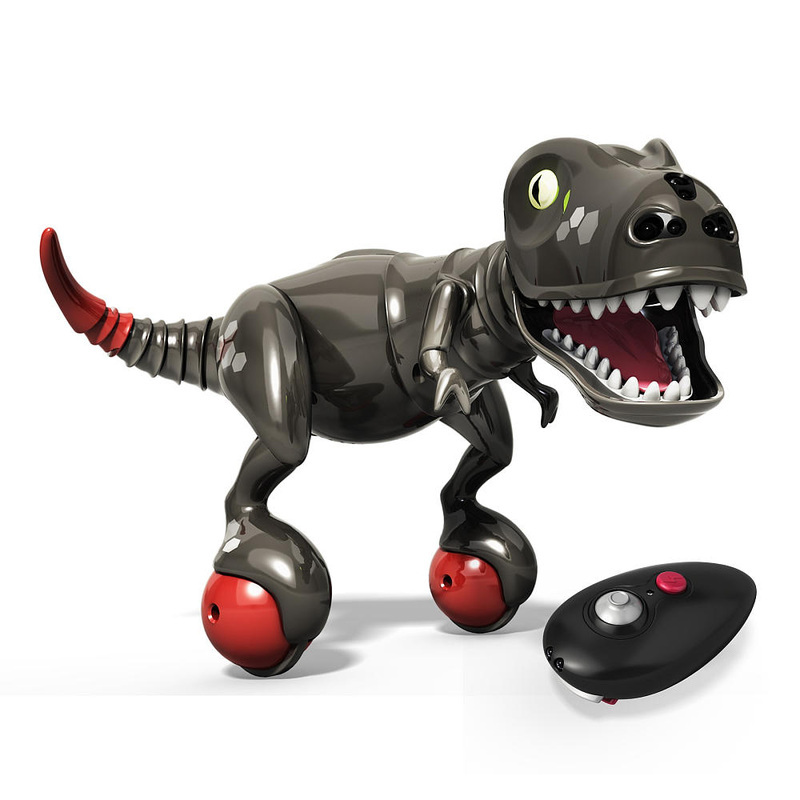 Simply download the T-Rex app to program T-Rex from your tablet, and to issue commands to your dinky dino! For best performance, keep your iPad or tablet within 18 inches (46cm) of your T-Rex's head. A noisy background will affect the link between T-Rex and the tablet so he works best in a quiet environment when in tablet mode. To exit tablet mode, just press his nose. Batteries: 4 AA batteries required.